Gondwana’s personal favorite, Alaska is the best place in the United States to see the Aurora because of it’s proximity to the north pole. Interior Alaska has a high number of clear nights, which is crucial for seeing the aurora. 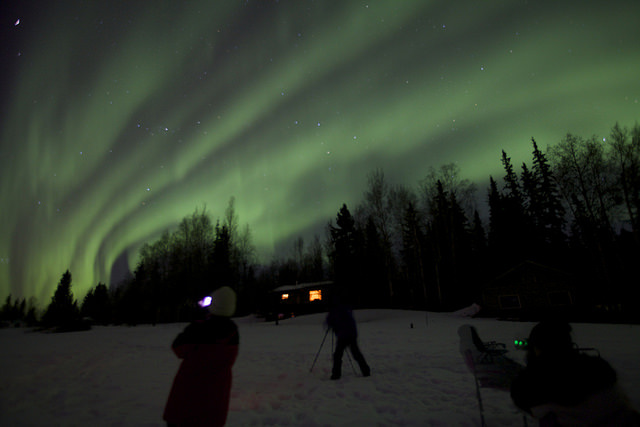 By staying in Fairbanks for 3 days, there is an 80% chance of seeing the Northern Lights. During the day, enjoy dog-sledding, hang out with locals in Fairbanks, and enjoy the pristine Alaskan wilderness. Visitors flock to Iceland because of its natural wonders, from geothermal hot springs to stunning mountains. 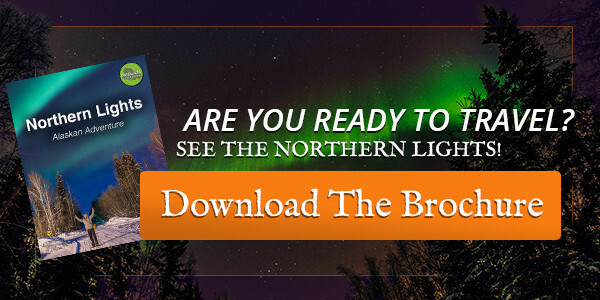 What’s more, it’s a prime spot to see the northern lights between October and March. They even have a Aurora museum: Aurora Reykjavík Northern Lights Center. While most of Canada lies under the auroral oval, the best views will be seen in remote locations.Yellowknife is the capital of the Northern Territories, which is teeming with nature and culture. 22% of the population are part of Indigenous tribes. With 75% of the country covered by a giant ice sheet, this is one of the most remote places in the world. This sparsely populated country is a truly unique, pristine destination. Fly into the capital, Nuuk, to see the aurora borealis in the city (yes, they can even be seen with city lights) and outside regions. Many places in Sweden are great for seeing the northern lights, but perhaps the best spot is Abisko National Park. The legendary “Blue Hole” over Lake Torneträsk has it’s own micro-climate with no clouds, meaning that seeing the aurora is even more likely and colorful. Situated in Russia’s extreme north, this region is home to unique wildlife like rare whales, dolphins, fish, birds, and mammals. Kola is also a great place to see the northern lights due to it’s proximity to the north magnetic pole, especially during the freezing winter months. This remote chain of 18 islands is truly a natural wonder. Entertainment for visitors involves exploring nature and learning about the local culture and handicrafts. On a clear night, head down to the coast to see the northern lights reflecting on the water. Despite typically cloudy skies, the aurora can be seen in Scotland. The best bet lies on the Shetland Islands, which are largely unpolluted by city lights. Beyond the Aurora, this island is rich with prehistoric history and archaeology, including structures like the Broch of Mousa. “The Northern Lights are visible on roughly 200 nights a year – or every other clear night – in Finnish Lapland.” With the aurora on display from August ‘til April, visiting the Lapland increases the odds of seeing the lights. For snow bunnies, little can compare to the snowshoeing, igloos and winter sports available in this region. Known for it’s clear skies, Alta has been appropriately nicknamed “Town of the Northern Lights.” In addition to a dedicated aurora museum, visitors should check out the ancient rock carvings at Alta, a UNESCO World Heritage Site. So where is the best place to see the northern lights? As with most travel, it’s best to fit the destination to your comfort level. Many of the locations above are very remote and require lots of planning to set up the trip. On GGondwana’sAlaskan Ecotour, we do the planning for you. Our dedicated guides will keep an eye on the aurora’s activity so you can enjoy your vacation and the lights.